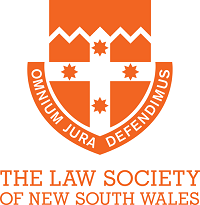 From statutory obligations to representative functions, the responsibilities of the Law Society of NSW are numerous and so are the interests we seek to serve. In carrying out our duties we strive to uphold the guiding principles expressed in our Vision and Mission statements. Our initiatives are focused on the following areas. We act as the voice of the legal profession, representing the interests of over 27,000 members, encouraging debate and actively driving law reform issues through policy submissions and open dialogue with Governments, parliamentary bodies, the Courts and the Attorney General’s Department. We provide confidential guidance to solicitors about all aspects of the Legal Profession Act 2004 and its associated regulations. To complement assistance across sensitive ethical and compliance issues, we also help solicitors comply with their professional development obligations.